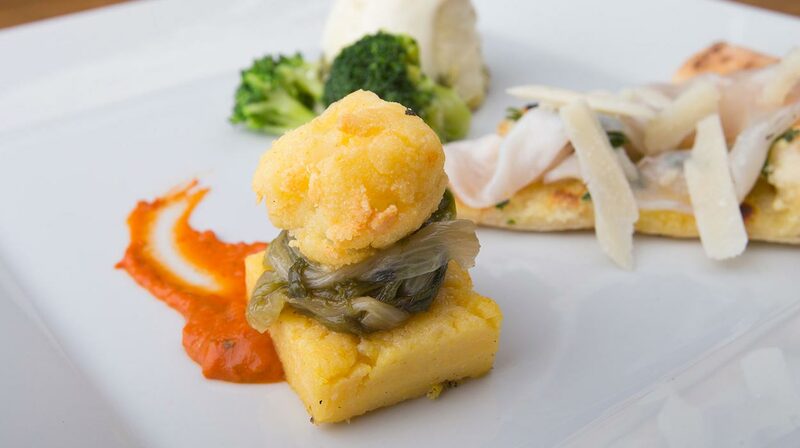 de Rinaldi is also the home of Italian cuisine, a synthesis of typical Neapolitan cuisine with northern influences. The result of years of experience of Salvatore, from a family of Neapolitan restaurateurs, who after the first years spent in Naples, decides to travel around Italy to expand his training and his network of contacts that would then allow him to have a list of unique and qualitatively reliable suppliers, together with the ones indicated directly from Slow Food organization. The years spent in Valle d'Aosta have certainly made an important contribution to increase the experience related to the typical Nordic dishes, but above all to the choice and processing of meat, of which today Salvatore and his son Cristiano are true connoisseurs. Bufalo Campano, Black Angus, Fassone Piemontese are not to be missed for those who love meat dishes, be guided in the choice of the best cut and in combinations of fresh side dishes, fries, craft beers or the best wine. Can you imagine a Sunday morning while the pasta dough is kneaded, the flour is everywhere and you can glimpse it in the air through the rays of the sun, while with ancient movements are prepared different types of pasta? 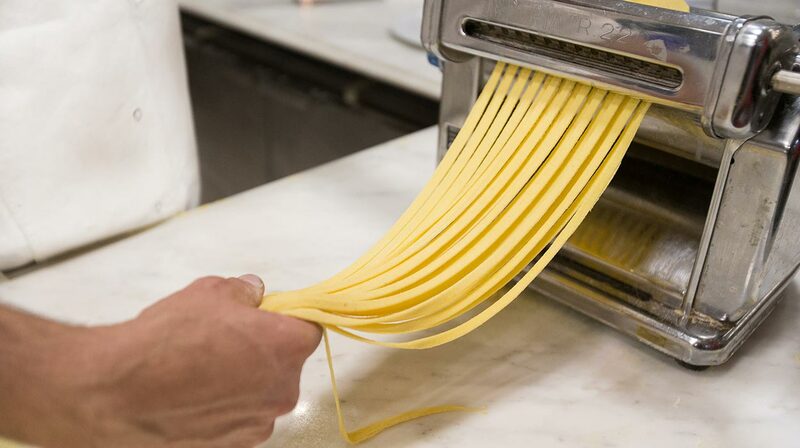 de Rinaldi offers its handmade pasta prepared on site every day, to live that emotion, to rediscover the authentic taste of the traditional homemade pasta. Our salads have great success, they are a mix of fresh flavors that make up a unique, rich, colorful and complete dish! Four solutions for the most varied tastes, ranging from the taste of the sea thanks to the "Lupo di Mare" salad made up with a delicious tuna fillet, to the "Rustica" salad that includes tender bresaola, passing through the "Chicchirichì" salad or the "Leggera" salad. All to be discovered, all to be tasted, our salads are waiting for you to offer you a light but complete and tasty meal!